There’s no better place to celebrate the good life than Lake Tahoe—America’s year-round playground. 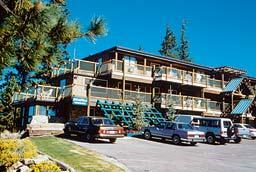 The adventure begins near the lake’s sandy shores, where swimming, water-skiing, and sailing abound. High in the Sierras, you can ski some of the steepest runs in the West. Tour the boomtown saloons of Virginia City. Then circle back through a stunning coniferous forest, try your luck on casino row and dine on mouth-watering seafood on the South Shore. Whatever your tastes, you’ll want to seize each day in heavenly Lake Tahoe. In a land of rock and dust sprouts a neon oasis, a world of wonder known as Las Vegas, Nevada. It’s a place of over-the-top architecture, larger-than-life entertainers and grand casinos. It’s also a realm of desert panoramas and chiseled rock formations that beg to be explored. 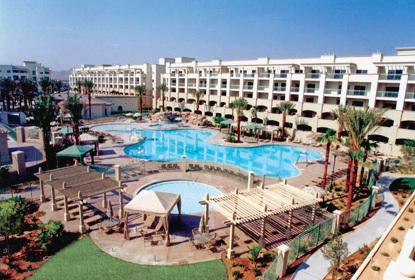 WorldMark at Las Vegas is your ticket to this extravagant playground for visitors of all ages. The world-famous Las Vegas Strip has experienced a transformation. Sin City has become a family town. Ancient Rome has been reborn at Caesars Palace, Coney Island comes to life at New York, New York, and Trendwest has just developed a resort complete with a "lazy river" winding through the beautifully landscaped grounds that surround its Mediterranean architecture. WorldMark Las Vegas is located about four miles south from the Mandalay Bay and features a regular shuttle service to the heart of the Strip. This means the new roller coasters, themed shops, museums, aquariums and casinos are yours to explore. Have a gondolier sing to you while you’re propelled along the canals of a virtual Venice, or take in the magic of a Cirque du Soleil show. Las Vegas is still as over-the-top as always. Who, for example, needs a four-story M & M’s store? But your latest retreat is just minutes away and yet a world apart. 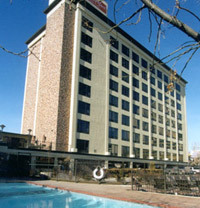 Please note: The original WorldMark Las Vegas is now WorldMark Las Vegas on Spencer Street. Be sure to specify which resort you prefer when you call reservations. In a land of rock and dust is a neon oasis, a world of wonder known as Las Vegas, Nevada. It’s a place of over-the-top architecture, larger-than-life entertainers, and grand casinos. It’s also a realm of desert panoramas and chiseled rock formations that beg to be explored. 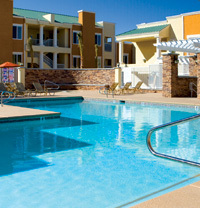 WorldMark Las Vegas-Tropicana offers 208 one- and two-bedroom units scattered amongst 20 two- and three-story buildings on 8.8 acres. It offers easy access to “The Strip,” while set in a quiet neighborhood 2.5 miles away. Have the time of your life as you explore the city’s themed hotels, take in a show, or wine and dine surrounded by pyramids, waterfalls, and even a replica of the Eiffel Tower. Beyond the Strip, hike the vermilion sandstone of Red Rock Canyon, go canoeing in expansive Lake Mead, or picnic atop Mt. Charleston. In Las Vegas, the choices are many and the pleasures are endless. Lake Tahoe is a sublime mix, with big-city entertainment tucked into the beautiful snow-capped Sierra Mountains. It’s where people go to rejuvenate their spirit, rediscover their family, relax in scenic splendor-and do a little gambling. 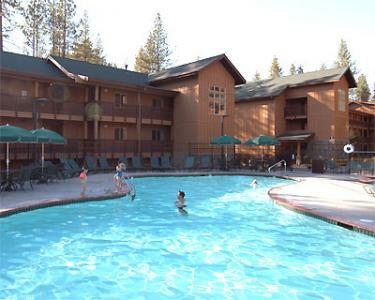 WorldMark South Shore is poised to take full advantage of Lake Tahoe’s charms. Skiing, water skiing, mountain biking, kayaking, jeep adventures and cruises are all part of the fun. The resort is just a 10-minute walk from Nevada Beach State Park and a six-minute drive from the Gondola at Heavenly or the casinos in Stateline. Sound heavenly? Get reacquainted with life. Book a stay at WorldMark South Shore today.